Place chicken in a gallon size bag or large bowl. Add olive oil, garlic, lemon juice, red wine vinegar, oregano, salt and pepper, to taste. Marinate for at least 20 minutes to 1 hour. Drain the chicken from the marinade, discarding the marinade. 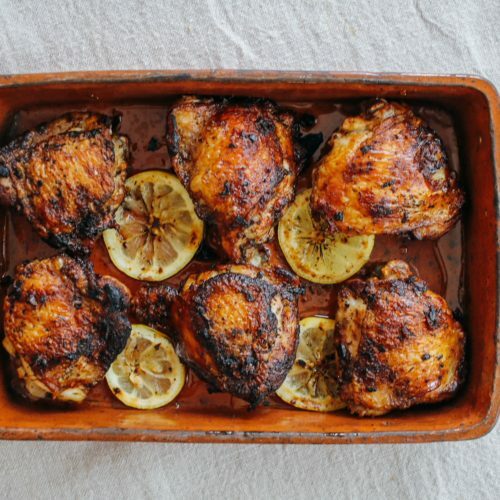 Arrange chicken and lemon slices in sheet pan or casserole dish; transfer to the oven. 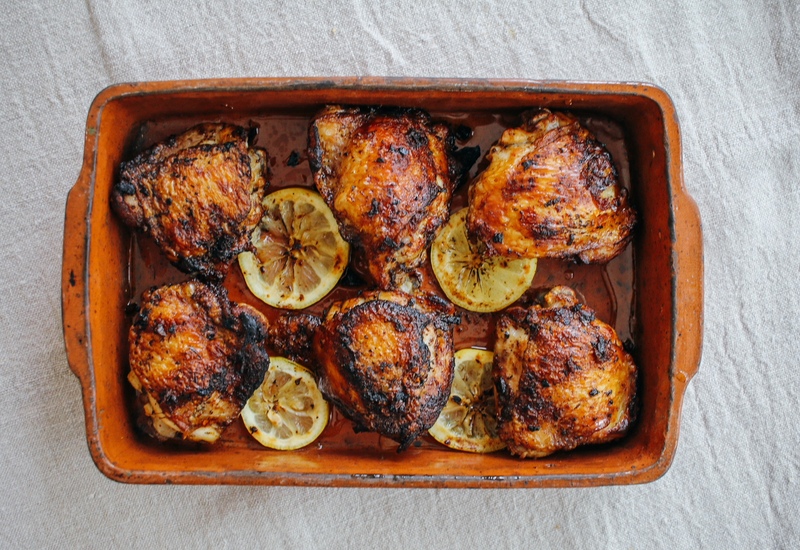 Roast for 30-35 minutes or internal temperature of chicken reaches 165 degrees, broil chicken for 2-3 minutes, or until golden brown and slightly charred.